Our contemporary black lacquer fishbowl features a bold yellow floral design with sunflowers as the star, roses and gerberas as the chorus line. Touches of unusual foliages and leaves give this design an edgy look that is right on-trend. Our bold flower arrangement would look fabulous in a modern home or apartment. 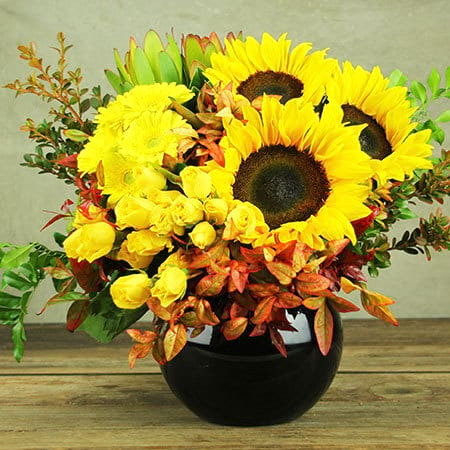 Order our yellow bowl of flowers online or give the team a call on 1800 66 66 46.